I learn something new every week - do you? Well that's how I started my first Success Tips article in 2003, after my very first successful year online (2002), as a full-time affiliate marketer. Whilst 2003 has been a challenging year to some (including me), there are still several ways of 'doing things right', that can improve your chances of success this year. So, what follows are essential tips to meet new and existing challenges that face all online businesses in 2004, based on my experiences in 2003. And as I said in the first article, it is still very easy to 'get it wrong'. There are so many new opportunities to explore, confusingly so, and it is *still* very easy to suffer from 'paralysis from analysis'. These situations can hinder your success, for sure, unless corrected. Well, the following tips CAN HELP. They can help you focus, help you save time, help you 'do the right things'; they can help you succeed, as they continue to help me succeed online. So let's begin with an obvious tip, shall we. Plan what work you're going to do, and stick to the plan. A plan could consist of a set of daily activities - reply to your emails, visit a forum or two, create more content for your site - or it could consist of a set of activities you want to complete in a given month. Whatever your approach, make sure you plan it first. Try not to rely on one source of income, or one website, or one marketing strategy (only using Google AdWords for example). I have been relying on getting free traffic from Google for far too long. And now, due to recent changes in the way Google works, this strategy is failing. Do you rely too much on Google, or a particular marketing strategy? And what would happen if this strategy suddenly stopped working? Make sure you try and have alternative strategies in place. Commit to continuing to learn on a regular basis. You can do this via an online forum, via a free ebook or website, or you can buy a suitable Internet marketing product/service from a company/person you trust and respect. Your attitude is everything. There are plenty of ways to succeed online, as you may well know; ultimately, however, what you do is not important, but HOW you do it is. I'm talking about your attitude. A positive attitude, combined with persistence, and a willingness to keep on learning, WILL seriously improve your chances of success. Quality articles and tips for your personal development, with a free 'Build From Within' newsletter series that helps you to be the best that you can be, build self confidence and self esteem, overcome obstacles and manage yourself effectively. "Whether you think you can or can't, you're right!" "Opportunities exist and will always exist. The question is whether you are able to see them and accept their challenge in time, before they fade away." "Stop wasting time on things you're not passionate about." "Successful people KNOW the best way to ensure *their* success is by helping other people become successful... You earn money *only* through satisfying the needs and wants of *others*"
Get your attitude right, simple as that. These tips below are some that featured in the 2003 version of this article. Basically, if you get things right once then make sure you keep on doing them right. Promote-Tip: Stop relying on free traffic from Google; investigate buying traffic via pay per click search engines, or generating traffic via articles (like this!) Profit-Tip: Spend time on activities that make you money. If you don't know what activities these are, then find out! Backup work on a regular basis. When I reviewed my collection of 'what I learnt' tips recently, some of the tips had been 'corrupted' (deleted), because I had had a problem with my computer's hard disk at one point last year. And I hadn't backed my files up properly. So this tip applies to everyone, including me. Don't just nod your head in agreement - do it! I'm going to end my Success Tips 2004 article with this incredibly simple formula for success, taken from Robert G Allen's inspiring book called Multiple Streams of Internet Income. "Find the right audience. Ask people what they want. Give it to them!" Yes, it's deceptively simple, I'll admit. But all the tools and skills you need are available to use and to learn from right now, for such a plan to be implemented. Keep learning, keep using the right tools, and keep persevering, and you will succeed online. A profitable 2004 to you. Profit More From Your Website." Download your free copy now! THE RIGHT TOOLS: Use Site Build It! 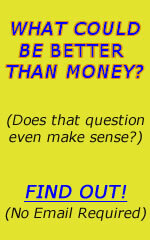 to develop a profitable business online!